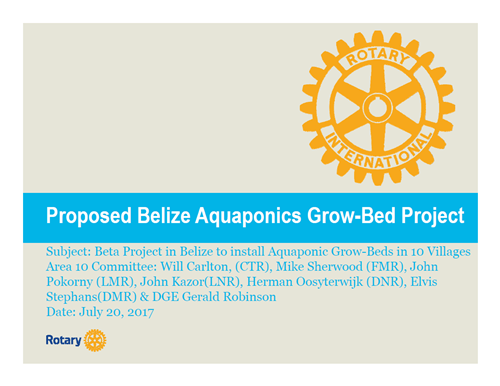 The Belize Aquaponics Grow Bed Project, officially P-1848 Aquaponics project Belize, is a proposed District 5790 Grant initiated by Assistant District Governor, Gerald Robinson, for Area 10. 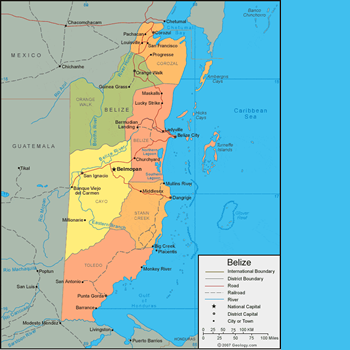 The project founders are seeking additional support from district clubs to fund, build, and install aquaponic gardens in the country of Belize. 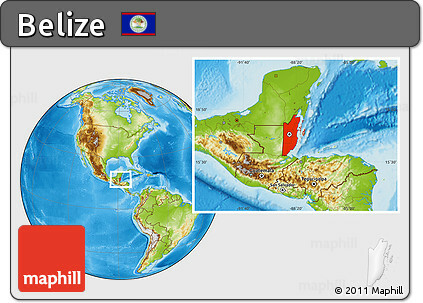 On August 9th at the regular club meeting of the Lewisville Noon Rotary Club, LNR member John Kazor and Lewisville Morning Rotarian, John Pokorny, provided an overview of this international opportunity to bring sustainable agriculture to villages in rural Belize. These remote villages lack sustainable support and suffer from poor agricultural conditions and must use 75% of available water for farming, resulting in little more than subsistence farming. Currently, the Flower Mound, Lewisville Morning, and Highland Village clubs have all made financial contributions to support this project. John Pokorny will be presenting at other area clubs seeking additional support. A copy of John's presentation can be downloaded by clicking on the PowerPoint slide image (at right). To view more details about the project, visit the MatchingGrants.org grant page.